New changes will have implications on directors’ fees, audit, reporting and striking off measures for companies incorporated in Singapore. 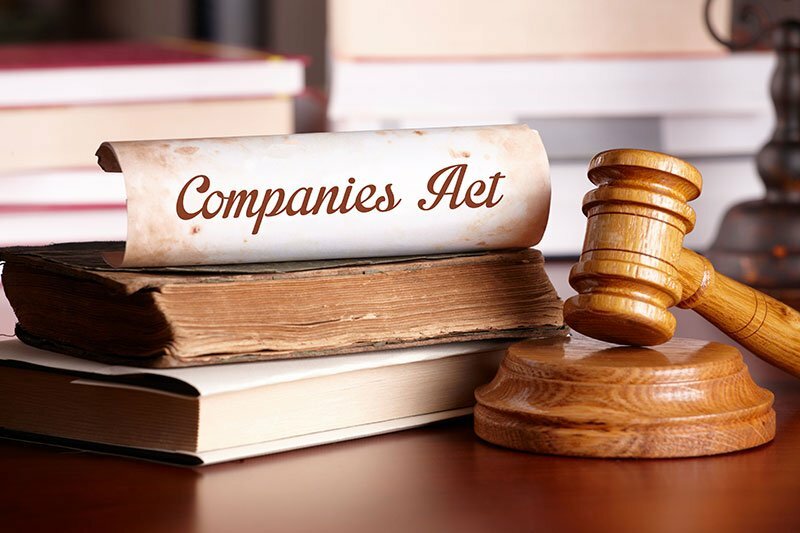 The Accounting and Corporate Regulatory Authority (“ACRA”) began implementing Phase 1 of the approved legislative amendments to the Companies Act on 1 July 2015. Phase 1 comprises mainly of legislative amendments that have limited or no impact on registration or filing processes directly linked to ACRA’s online business filing and information portal, Bizfile. We take a look at how some of these key changes will impact private limited companies in Singapore. Prior to the amendment, any payment of compensation to a director for loss of office as an officer of the company or its subsidiary, or any payment as consideration for or in connection with his retirement from such office would have to be disclosed and approved by the company’s shareholders. Section 76 had previously prohibited any Singapore company from giving financial assistance for the purpose of or in connection to, the acquisition of its own shares; and was a prohibition that potentially had significant impacts when there were corporate transactions such as reorganization, refinancing, restructuring or structured finance transactions. The main purpose behind this legislation was to protect the company’s capital, as if the company’s capital was used to purchase its shares, it would essentially result in a diminution in the company’s value in the hands of the other shareholders. As the Singapore government continues to urge companies to be more productive, efficient and innovative, more and more companies see the need to undergo such corporate exercises, to streamline operations, merge resources with other companies or re-finance to seek more funding to pursue the development of innovative technologies. The new legislative amendment to remove the abovementioned prohibition applies specifically to private companies, which are usually closely held by a few shareholders, who would have greater control over decisions with regards to the disbursement of the company’s capital and provision of financial assistance. No requirement to present copies of the auditors’ report at its Annual General Meeting (“AGM”). Do note however, that companies that qualify for audit exemptions will still need to prepare unaudited accounts. Only private companies can qualify for audit exemptions. * For companies that are part of a group, the entire group must qualify as a small group, i.e. it needs to meet at least two of these criteria on a consolidated basis for the immediate past two consecutive financial years. 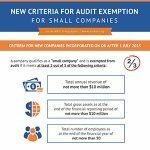 To learn more, view our infographic on “Small Company” Concept for Exemption from Statutory Audit. Under the new regime, a company will need to meet any two of the following quantitative criteria in order to qualify as a “small company” in each of the immediate past two financial years. These new definitions align Singapore’s practices with other countries such as the United Kingdom and Australia. Moreover, with a higher revenue threshold, more SMEs can qualify under the new exemption and can therefore cut the proportion of costs paid to auditors and any other associated costs in relation to an audit. Prior to the legislative amendments, auditors found themselves unable to resign as long as they were the sole auditor of the company, or if the company declined to convene a general meeting to approve and note their resignation. The new change now allows auditors of non-public interest companies, which also excludes subsidiaries of public interest companies, to resign before the end of his appointment by giving written notice. “Public interest companies” would be those listed on the Singapore Exchange Securities Trading Limited (“SGX-ST”), financial institutions, large charities or institutions of public character. Auditors of public interest companies and their subsidiaries will be required to obtained ACRA’s consent for their resignation before the end of the term of their appointment, which is generally until the company’s next AGM is held. This will ensure that companies are not left in the lurch without their auditors, whilst recognising that there may be situations where the auditor is trapped due to the company’s refusal to hold a general meeting. This legislation aims to phase out outstanding share warrants that were issued before 29 December 1967; and any bearers of these warrants will still have a two-year period from the time this amendment is effected to surrender their warrants for cancellation and have their names entered in the company’s register of members. Given that this transitional arrangement has been in place for more than 40 years, it is perceived that more than adequate time has been provided for bearers of the warrants to convert their warrants to registered shares. Employees of insolvent companies were previously entitled to be paid their wages and salaries, followed by their retrenchment benefits and ex-gratia payments, in priority of other unsecured creditors. The limit in the Companies’ Act was previously stated as “five months’ salary of the employee or S$7,500, whichever is lower”. The amendment is intended to update the limit and will specify a new limit of “five months’ salary or five times the salary cap for non-workmen referred to in Part IV of the Employment Act, whichever is lower”. This updates the previous legislation, which based the S$7,500 limit on the Employment Act that was introduced in 1993, more than two decades ago. With the new amendment, it has the benefit of ensuring that the limit is automatically updated each time the salary cap for non-workmen is adjusted in the Employment Act. the fact that the sole director or the last remaining director of the company, as reflected in ACRA’s registers, has passed away or is disqualified from acting as a director. Therefore, if companies do realise that they fall into any of the abovementioned scenarios, they should take immediate action if they wish for the company to continue its existence. With these changes, companies and their stakeholders will have to review the potential impacts to their businesses. In particular, the removal of the prohibition on the provision of financial assistance can greatly ease corporate transactions such as reorganization, refinancing, restructuring or structured finance transactions, while the new “small company” concept is estimated to ease the administrative burden for companies that qualify under these conditions. We are constantly in tune with Singapore’s compliance requirements. Engage our compliance specialists today to get your questions answered.